As the tennis world continued to digest the prospect of Andy Murray's retirement, an evergreen Roger Federer pondered the "luck" of his longevity on Sunday ahead of his bid for a hat-trick of Australian Open titles. Murray's announcement that Melbourne Park could be his last tournament as a professional has made 37-year-old Federer's career seem all the more miraculous. Seeking a 21st Grand Slam title and a record seventh in Melbourne, the Swiss will play his 20th consecutive Australian Open from Monday with a first-round clash against Uzbek Denis Istomin. While suffering an assortment of niggles common to all hardened professionals, Federer's only major layoff came in 2016, after he tore his meniscus when running a bath for his twin daughters. It happened a day after losing the Australian Open semi-final to winner Novak Djokovic, but a year later, he was back raising a fifth trophy at the tournament. 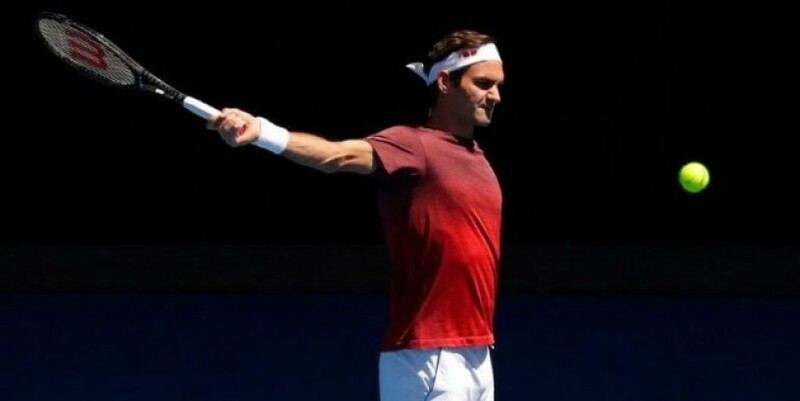 While knowing the limits of his body and full of praise for his team for being able to patch him up repeatedly, Federer admitted fortune had played a part in his longevity. "I definitely needed a little bit of luck," he told reporters at Melbourne Park. "If you look at how unlucky things were with the incident here a few years ago when I ran the bath, I guess the knee, that part of the body was ready to go. "Could have happened easily in the match against Novak, but it didn't, maybe because I was warmed up. I have no idea what happened. I think you also need a little bit of luck." The 31-year-old Murray has been far less fortunate, with major hip surgery a year ago doing nothing to stop the pain that has driven the Scot to distraction and the brink of retirement. The Australian Open could therefore be the last time the 'Big Four' play together after dominating the Grand Slams for the best part of a decade. "I was disappointed and sad, a little bit shocked, to know now that we're going to lose him at some point," Federer said of Murray. Federer, meanwhile, just keeps rolling on and may still be the best equipped to stop top seed and raging favourite Djokovic from capturing a third successive Grand Slam title after his Wimbledon and U.S. Open wins. He won all four of his singles matches at the Hopman Cup to help defend Switzerland's title with Belinda Bencic and said his body had come back from his end-of-season vacation in better nick than he had expected. "I think I was probably even able to work a bit harder than I thought I was going to," said Federer. "I didn't miss any sessions. I think I added on top of it. "I came out of it actually strong."